A FEW years ago we published a reader’s complaint about Facebook censorship. It is widely known that Facebook engages in heavy censorship (usually silently, e.g. by omission), not just in heavy surveillance. 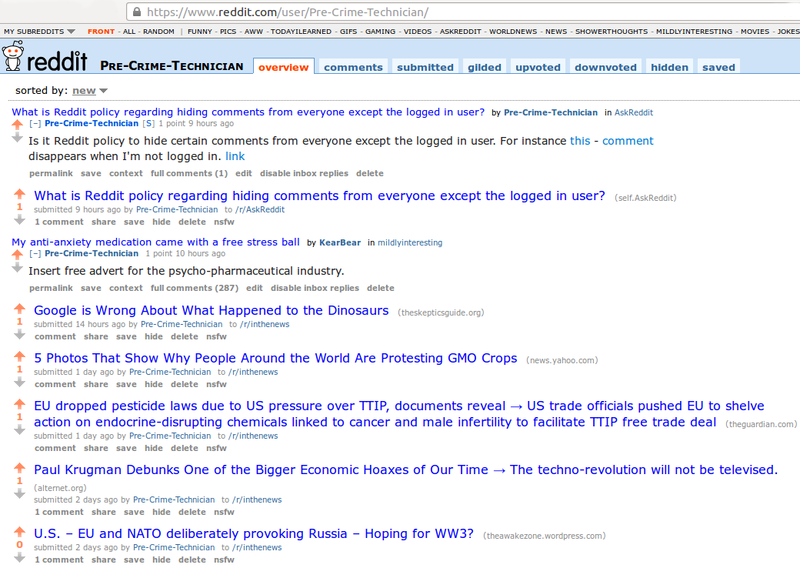 Today we have confirmatory evidence that Reddit is also overzealously censoring (deleting), blocking, etc. entire accounts. We have heard about this before, we have actually seen this before, but not much has been said or written about this as far as we can tell. Reddit is trying to hide what it does under Condé Nast’s wing. Aaron Swartz, a Reddit pioneer, never liked Condé Nast when it became his employer (not by choice). It didn’t take him to leave Condé Nast, which generally depressed him and gave him no room for creativity. Being a large corporation headquartered near Wall Street, nobody should expect Condé Nast to have turned Reddit into anything other than adjunct of corporate media, only a shadow of its rebellious (former) self. Reddit’s policy is somewhat sickening. 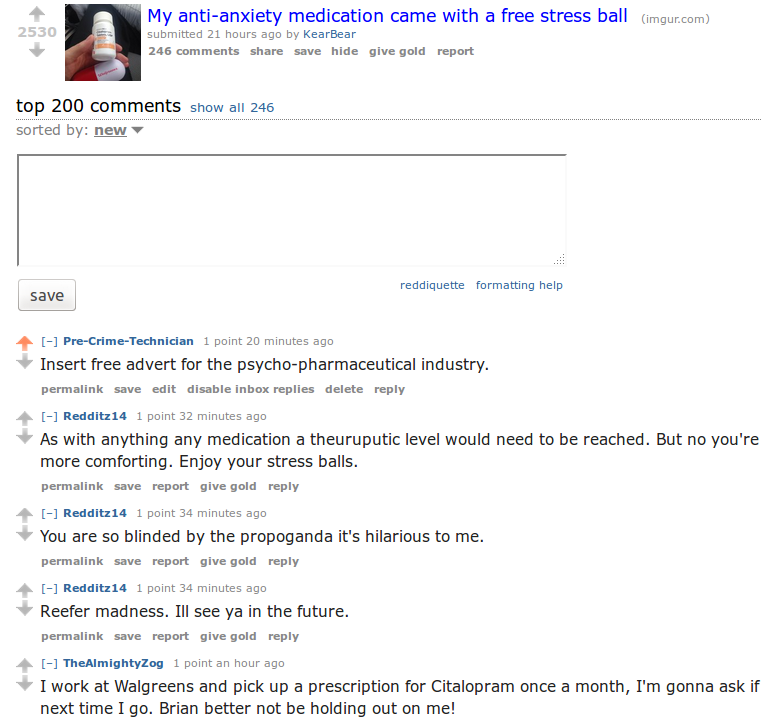 A lot of people don’t quite realise how many trolls and spam come from Reddit. Censorship there is directed against anyone who is not good to Condé Nast’s business model (they own Reddit), not trolls or spam. Reddit even takes Microsoft money to advertise Microsoft under the guise of Q&A or whatever. The same previously was done with (or for) Bill Gates and pro-Microsoft agenda had run rampant for many years now (including negative comments about sites like Techrights). Condé Nast loves Microsoft and Bill Gates to the point of habitually grooming them, under the guise of ‘journalism’. Last year it was revealed (by a whistleblower’s account) that Microsoft employs AstroTurfers to leave posts favourable to Microsoft products in Reddit. It speaks volumes, does it not? 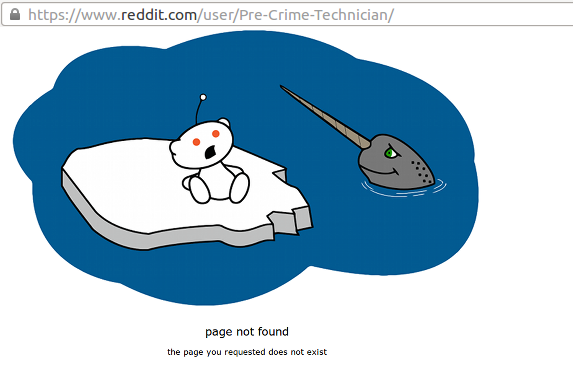 Our perception of Reddit it far worse than that of Slashdot after Dice took over. Reddit — like Facebook — is where bold ideas come to die rather than be spread. It’s hardly a “social media”, it’s more like corporate media where advertising is embedded. 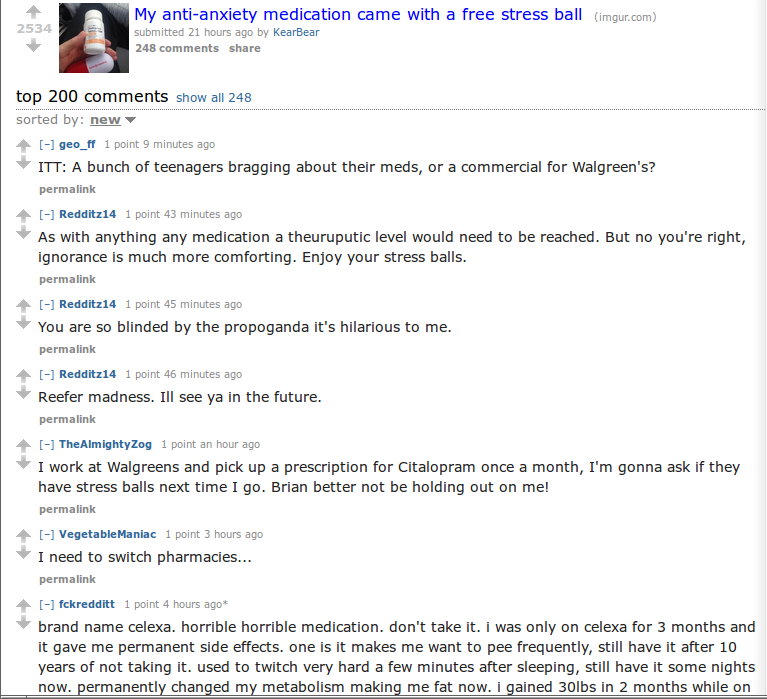 Today’s story comes from an anonymous reader who has been gagged by Reddit. When he asked about the gagging he was further suppressed by Reddit (hiding evidence of the suppression). He is one of many others who have been treated like this, based on what we have learned over the years, so there needs to be an explanation out there of what Reddit actually does. Of course we can’t, that’s the intention. This profile page returns a “page not found” error. That’s a ban. “And apparently the user home page doesn’t exist,” our reader concluded. He is not an agent of some company and he wasn’t rude, either. Reddit remains one of several nasty sites which pretend to be “activism” and pose as “community” while in practice doing the very opposite. Remember who owns Reddit.